Guacamole that doesn’t turn brown, sliced apples that stay fresher longer, cut pears that maintain their texture – these were the goals of NatureSeal, a product that keeps fresh cut fruit and vegetables fresher. “NatureSeal products are based on vitamin and mineral blends sold in a powdered form. The powder is mixed with water to form a liquid solution in which the cut produce is dipped into. 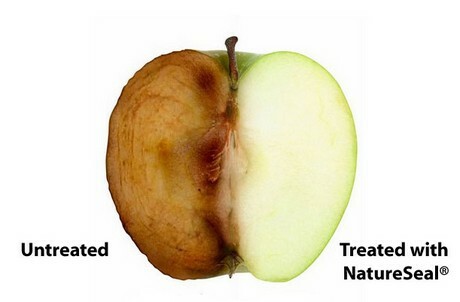 The vitamin components inhibit the browning of the cut surface while the minerals maintain the texture of the produce, ” explained Karen Murphy, director of marketing for Mantrose-Haeuser Co., Inc./NatureSeal, Inc. The product originated as a solution for food processors and cut fruit manufacturers to maintain the quality of their products. At the urging of the foodservice industry, the products for foodservice were introduced. “This enabled schools, restaurants, supermarkets and caterers to prepare fresh-cut produce when it was convenient. 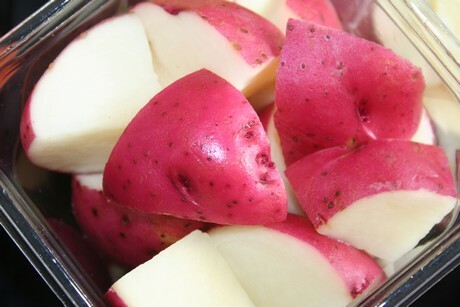 It has also helped dramatically increase consumption of fresh produce within school systems worldwide and reduce food waste by inhibiting discoloration and texture breakdown, thus keeping fresh produce appetizing after being cut,” elaborated Murphy. Next, consumers began inquiring about a product for everyday home use, and the NatureSeal consumer brand was born. “Last year we introduced two NatureSeal products through e-commerce. 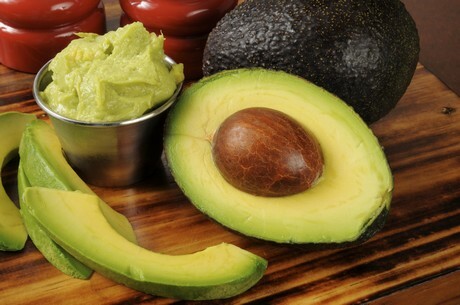 NatureSeal for Fresh-Cut Produce maintains the color and texture of sliced apples, pears, stone fruit, carrots and celery without altering their flavor and NatureSeal for Guacamole & Avocado maintains the color of sliced avocado and the mashed pulp used to make guacamole,” detailed Murphy. Getting to this point was the result of ten years of research and development with NatureSeal’s parent company, Mantrose-Haeuser Co., Inc., and the USDA ARS. “There were many challenges in that the criteria was very strict,” said Murphy, adding that the product needed to have multiple functions. “We were looking to develop a sulfite-free product which would not affect the natural flavor of the cut produce and still maintain the texture. The product had to perform long enough to enable the processing, shipping, retail sale time and shelf life for the consumer. There were many hurdles that were overcome to achieve this,” she explained. The fresh-cut shelf life extension technology not only makes fresh cut produce last longer; it’s impacted how those items are maintained and marketed. Visit NatureSeal at booth #1811 at United Fresh 2016 in Chicago.